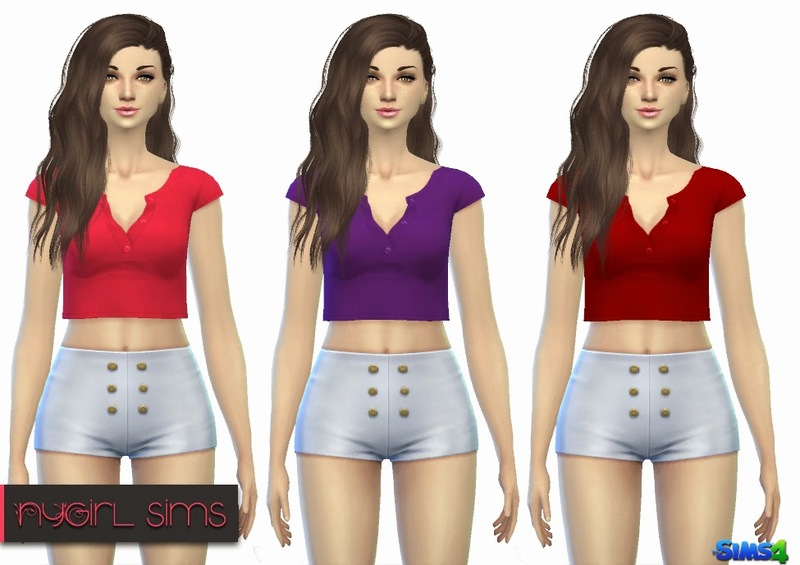 A simple open v-neck collared crop top. Comes in 7 different colors. Made from a mixture of TS4 textures.